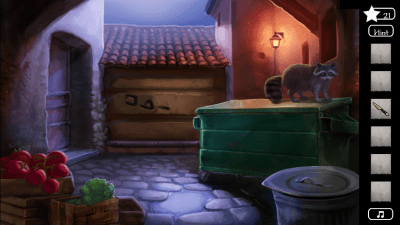 It’s been a few months since I played Adventure Escape: Murder Manor by Haiku Games, but I wanted write a review for it since it’s one of the better free point-and-click adventures I’ve seen. I recently played some of Agent Alice, another free adventure game. Agent Alice is by Wooga, and is primarily made up of hidden object scenes which you have to replay over and over to collect stars, which you can then use to access story bits. The problem is, that unless you spend a lot of money on the game, you will play for five to ten minutes at a time and then have to wait anywhere from an hour to 24 hours to play another few minutes. 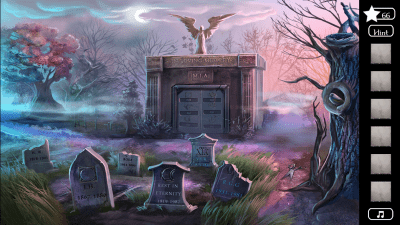 It is the worst monetization I’ve seen in an adventure game and it made me appreciate Murder Manor that much more. 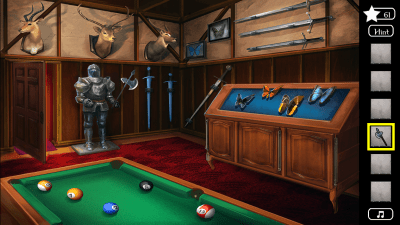 Murder Manor is a free game and does include in-app purchases (IAPs), but it’s so generous with its in-game currency used for hints that it’s unlikely most players will need to buy any extra. There are also some ads, but they’re not terribly intrusive, and I really don’t mind a few ads if it allows a developer to make a quality free game that doesn’t throw constant paywalls at their players. The game is also primarily made up of puzzles and mini games as opposed to hidden object scenes. I’m not a fan of hidden objects, so I was thrilled about this. You play as Detective Kate Grey, who gets invited to a dinner party at Wickham Manor when her car breaks down outside. Someone is killed and it turns into a murder mystery! It’s now up to you to solve the puzzles and figure out who is the murderer. There are nine chapters that take you through different locations, such as the dining room, kitchen, study, and even a cemetery. The locations are all drawn beautifully and full of bright colors. If you’re playing and get stuck, try my complete Murder Manor walkthrough. I concur. This was truly a professionally made game! Your w/t did help!! I play offline so I’m rarely if ever bothered by any ads.